Illegal trading with young dogs is often backed by tightly organised gangs. There are backyard breeders who work just for themselves, trying to earn a bit of extra money, but the biggest problems come from traders who do large scale trading. Their main focus is on the organised reproduction of dogs. While the seriously motivated breeders carefully consider which animals they will use for breeding, the large-scale breeders only care about numbers. A large number of female animals are held solely to produce as many offspring as possible. Once the puppies are born, then they are no more to the breeder than a sellable product. Buyers are found as quickly as possible. The necessary contact to the mother or the general development of the animal is of no importance. The sellers do know, however, that the dog’s background is important to many buyers. As a result many ads talk about the loving way in which the puppy is raised in a family with lots of contact to its mother. This is just as much a lie as the loudly proclaimed medical care. Since immunizations and veterinary controls reduce the profit, the backyard breeders take other routes. Many buyers discover that the papers they are given have been forged. Some forgeries are hard to prove: repeatedly there have been cases in which a veterinarian works together with the gangs and gives them false documents. The fact that dealers offer to bring the puppy to the customer has nothing to do with being friendly. To start with, this reduces the risk that an interested buyer will visit the breeder and see the conditions under which these dogs are raised. Of course these deliveries are often part of a mass transport of animals. It is not just one little dog that goes on the trip in the car or van. The vehicle will be full of puppies that are being brought to their future owners. The trips often cover hundreds of kilometres and are very hard on the young animals. 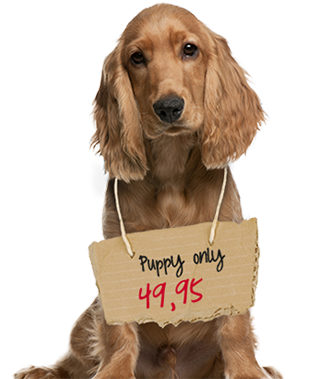 On the other hand, German dog owners are very aware of the low prices for puppies from eastern Europe. Instead of looking on the internet for breeders, they often go and visit dog markets which are situated close to the German border in order to buy a cheap puppy there. That might be good for the wallet, but it further increases the problem of the illegal puppy trade.